Have you ever wondered what kind of car data you can analyze with EB cadian? Or how many connected cars there are in the world that could benefit from remote analytics? Or how drivers feel about sharing their car data? 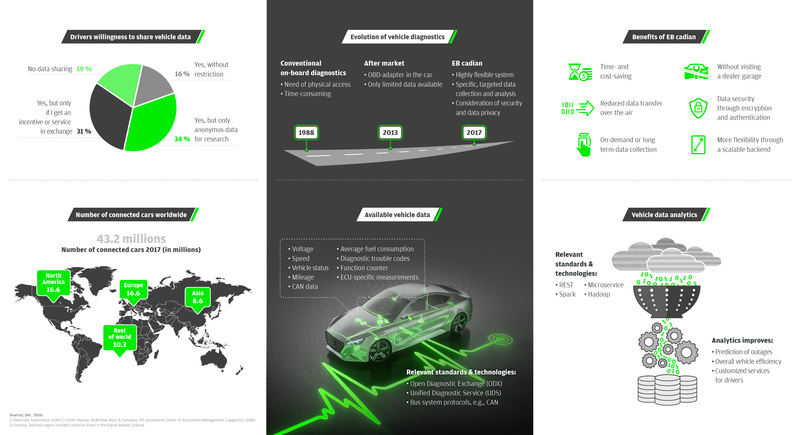 Then you should take a look at our comprehensive infographics on remote analytics for connected cars. Download the infographic from our TechCorner.